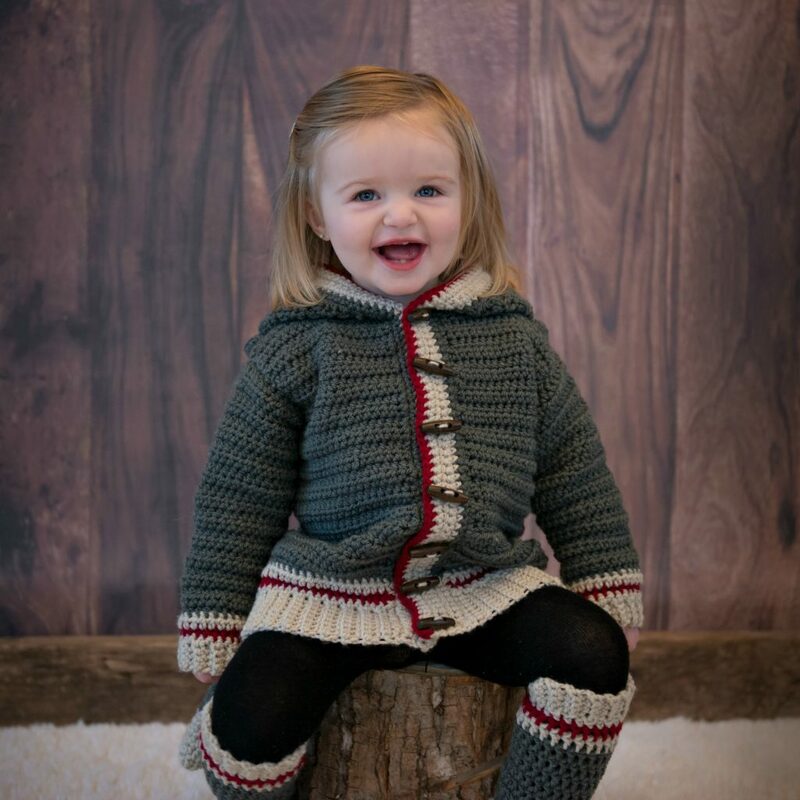 Our newest crochet hoodie and sock pattern has just been released! 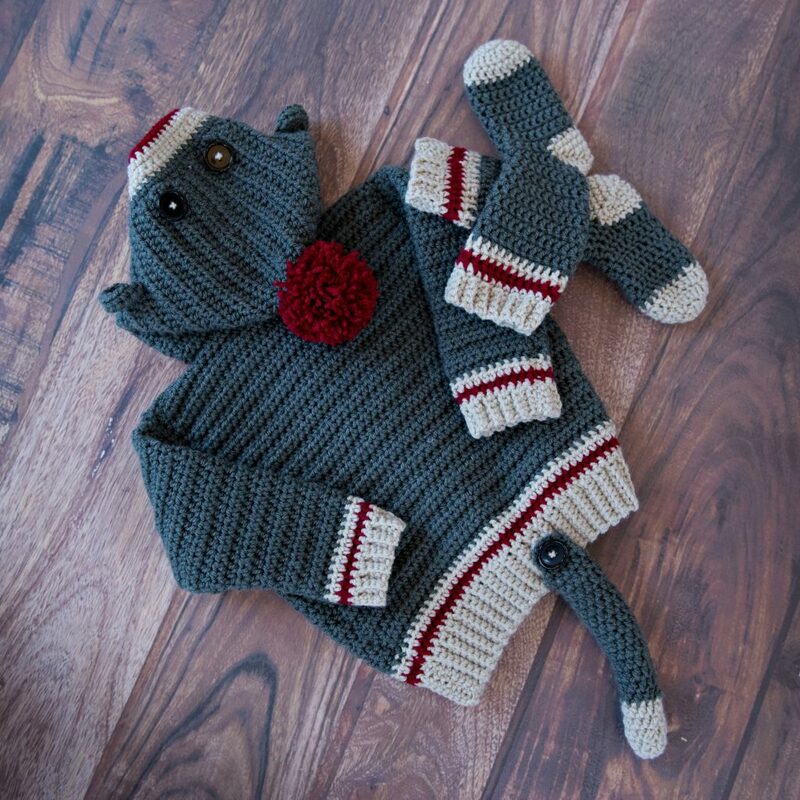 The most adorable little Sock Monkey Hoodie and Sock Set! You can purchase the pattern HERE in my Ravelry shop. This set has been designed in Craftsy Sprightly Acrylic worsted weight yarn. It’s a soft cozy acrylic with excellent stitch definition and a dream to work with. One of my favourite worsted weight yarns. I’ve used this yarn in all my new Hoodie/Poncho and Sock sets. 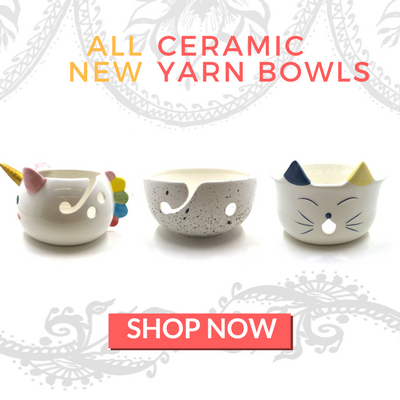 You may purchase this yarn from Craftsy below. Or Grab the KIT HERE! 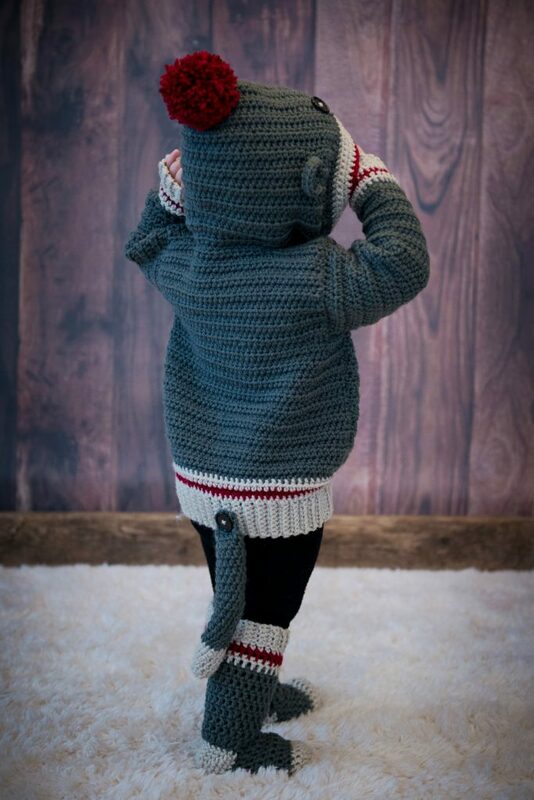 Your littles ones will stay toasty and warm in this cozy sock monkey hoodie. The pattern comes in size 2-10. Due to popular demand I’m currently working on an Adult his and hers version in XS-3XL. Watch for the release soon! 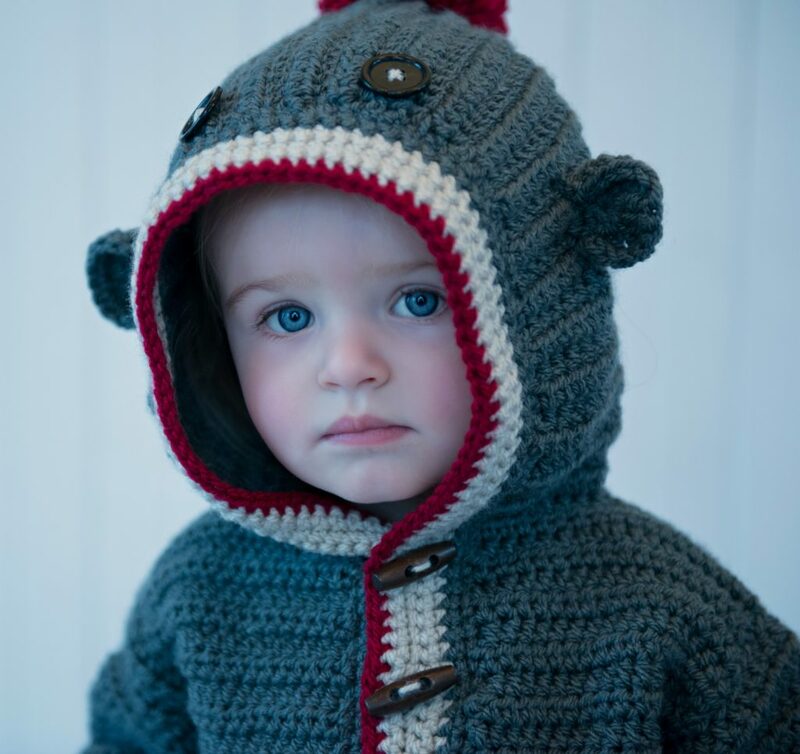 The Hoodie is designed with wooden toggle style buttons with a roomy pompom hood with button eyes. 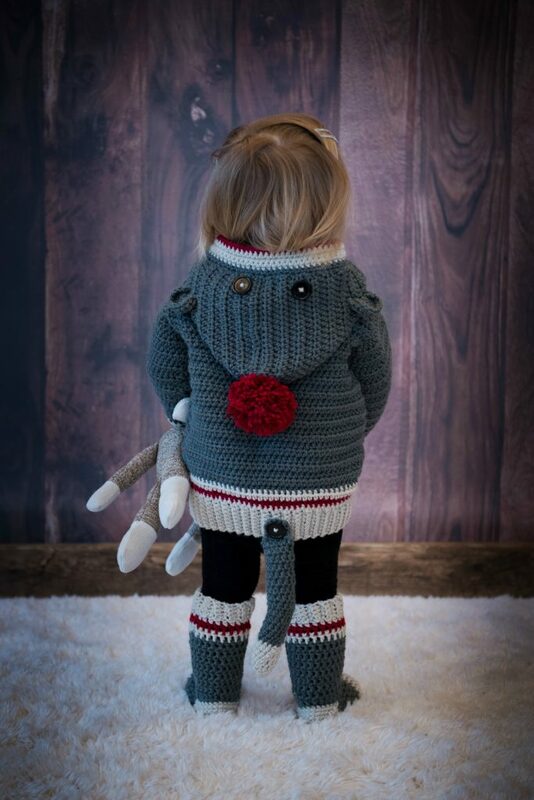 Removable monkey tail is stuffed with polyester fill. Hoodie is shown in size 2 and socks size small. Pictured on an 18month old toddler. 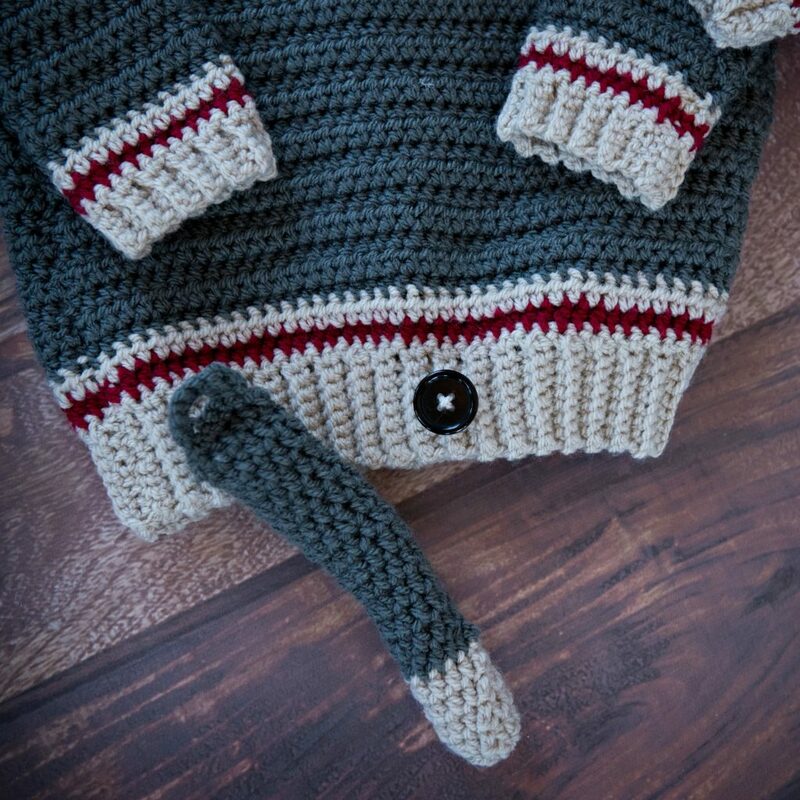 Basic stitches are used throughout to make this sock monkey hoodie beginner friendly! Hoodie assembly video is available for viewing HERE on our website. 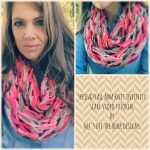 Use coupon code provided in pattern to view for FREE. Sock video is included on how to crochet these cozy socks! The video is available HERE on our webpage. Use coupon code provided in the pattern to view for FREE. 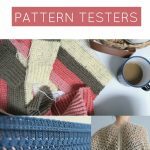 I hope you enjoy this new pattern! Now AVAILABLE IN ADULT SIZE! 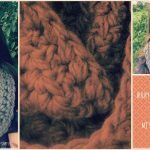 Spring/Fall Arm knit Infinity Scarf- Free video tutorial! !